By fully integrating our design services with a complete machine shop, we are able to provide our clients a broad in house solution and fast turn-around times. 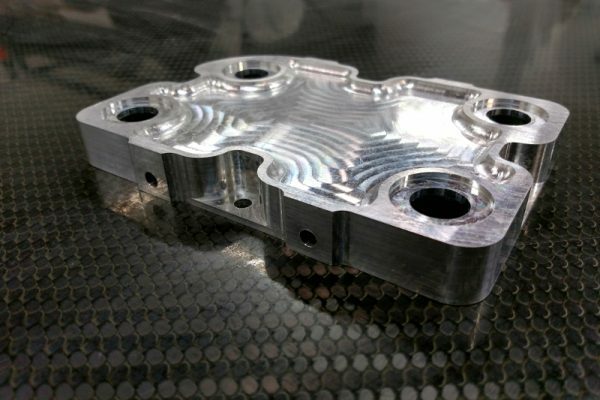 CAD/CAM work is done on the shop floor enabling the rapid iterations ideally suited for prototype machining. Fast and accurate machining services. Our in house machining services mean faster turn around times for your composite tools and components. We can deliver parts within a week, and sometimes less. When coupled with a composite laminate that can result in final parts in your hand in under 10 days. We cut aluminum, steel titanium and higher density foams for a variety of needs and budgets. We can work directly with drawings or a combination of drawings and solid models. We regularly assist customers in the DFM (design for manufacturing) and maintain in house CAD, CAM and modeling capabilities. 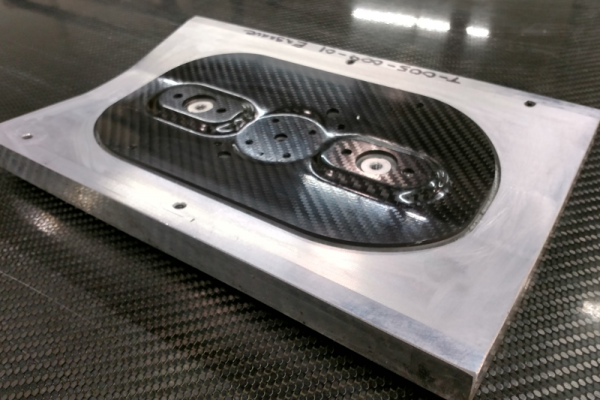 Post machined composite part on custom trimming fixture.